The relationship God has with His followers assures His power on their behalf. You are His own dear Child, and most parents take care of their own. Even the silly hen scurries to gather her brood under her wing when trouble appears. * How much more will God, who is the Father of such instincts in His creatures, stir up His whole strength to defend you? A mother in her house hears a sudden cry outside and, knowing the voice, says at once, ‘That is my child!’ She drops everything and runs to him. God responds as with a mother’s heart to the cries of His children. When a soul believes, then God’s eternal purpose and counsel concerning him – whom He chose in Christ before the foundation of the world – is brought to term. * Can you imagine the love God has for a child He has carried so long in the womb of His Eternal purpose? If God delighted in His plan before He spoke the world into being, how much greater is His delight to witness the full fruition of His labor – a believing soul. Having performed His own will thus far, God will surely raise all the power He has on that believers behalf, rather than be robbed of His glory within a few steps of Home. God showed us how much a soul is worth by the purchase price He paid. It cost Him dearly, and that which is so hard won will not be easily given up. He spent His Son’s blood to purchase you, and He will spend His own power to keep you. As an earthly parent you rejoice to see your own good qualities reproduced in your children. God, the perfect parent, longs to see His attributes reflected in His followers. It is the image of God reflected in you that so enrages hell; it is this at which the demons hurl their mightiest weapons. When God defends you, He also defends Himself. Now knowing that the quarrel is God’s, surely He will not have you go forth to war at your own expense! ♡When we are asked to stand, do you realize its simply under the banner that says, “The One true God loves me!”? ♡ If you have a fierce and protective love for a loved one. 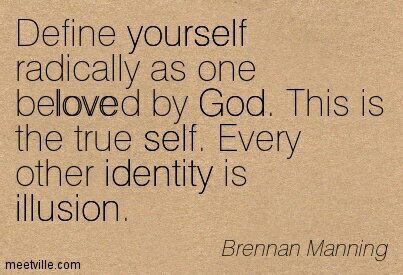 Can you see that this too is the very image of God in you? ♡ And if it be a mere image of Him inside you (this protective love); is there ever a reason to fear anything for the one you love so? ♡ How do you see that the enemy attempts to rob you in fearing for yourself or someone you love? 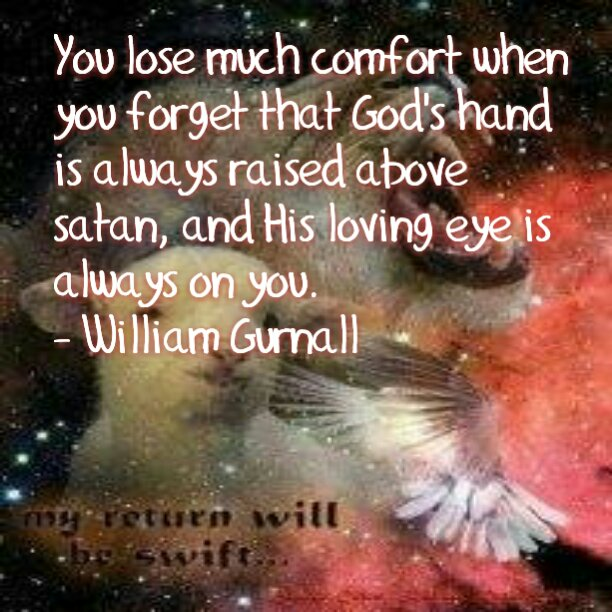 ♡ What does fear ultimately say about how much you believe and trust in God’s love, which will always supercede ours? The Father in heaven even made sure the Son, as He carried the cross up the hill to Golgotha, brought along another to help Him fulfill His will. He does not need those He uses to even want to serve His purpose. .. He often brings us along somewhat resistant and as we do the thing He is doing. .. we then find our wills pulled into His as if by some strange miracle and quite without our ability to completely connect why or how.